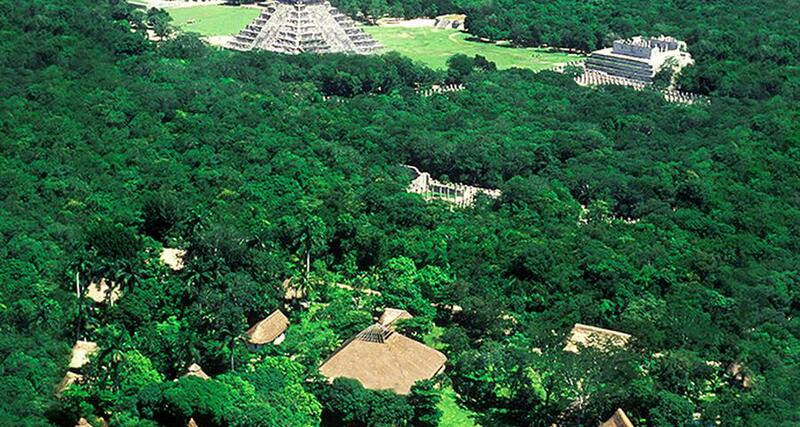 The Lodge at Chichen Itza is a luxury 5* resort located in Chichen Itza, Mexico. It features 36 rooms and swimming pools. Stay at The Lodge at Chichen Itza and enjoy being located next to a magnificent archaeological site, surrounded by lush flora and varied fauna in full contact with nature. Make the most of your vacation and visit Chichen Itza, one of the Seven Wonders of the World just a few steps away, and also savor delicious dishes of the Yucatecan cuisine. The property offers excellent services such as events room, massage, a swimming pool, wedding facilities and fun activities, such as horseback riding. It has bungalows in traditional Mayan style with wood, stone, marble and straw and a quiet atmosphere, as well as a wide range of amenities and services.